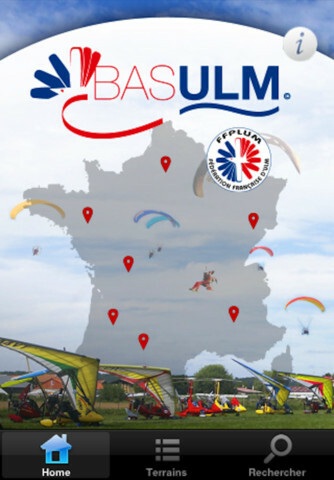 If you are the owner of SmartPhone and you are French pilot or you have planned a cross country flight to France then you might be interested to know that since recently the French Ultra Light federation (FR) has made its BASULM (FR) web application also available on iPhone and Android phones. You can download the IBasULM app for free from the Apple app store for iPhone or from Google Play for Android phones. Similar to the web application, which by the way is also free, you can look up ultralight airfields. It will display GPS coordinates, airfield elevation, runway(s), contact information, etc. Both the web and Smartphone applications allow you to search for airfields based on criteria such as type, region and airfields nearby. The results can be displayed on Google maps.